Step into Hollywood’s hippest in-the-know scene and celebrate NYE 2017 at The Sayers Club, L.A.’s trendy music venue and nightlife hot spot. Combining a hip and intimate living room vibe with a refined industrial-chic ambiance, the Sayers Club is acclaimed for its cutting-edge roster of artists and entertainment superstars. This New Year’s Eve, The Sayers Club offers up its ultra-stylish space and raw sophistication to bring L.A.’s taste-making elite a high-energy NYE party, a la mode, featuring 5 Hour Premium Open Bar, multiple Top DJs (TBA), Festive NYE party favors, Live DJ 2017 NYE countdown, and complimentary Champagne toast at Midnight. Top DJs will be playing throughout the night, plus a live performance TBA. There’s a premium open bar from 9-2am for only $69 (if you purchase early bird discount tickets)!! Snag tables too, starting at under $700. Don’t miss this exclusive NYE party – Buy Tickets & Tables ASAP! Purchase early discount tickets available now online to save money. For more information, call or text Jamie Barren at +1 (310) 749-9029. 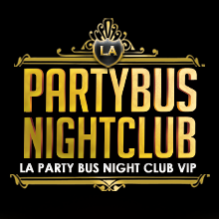 Visit www.newyearsnightlife.net to discover Top Nightlife Happenings NYE 2017 for Adults in LA! Join L.A.’s party insiders at the Sayers Club’s splendid NYE celebration. With deluxe amenities, trendy guests, and a hyper-charged party atmosphere housed in a chic environment, this is one unforgettable NYE in the making. Simply fill out the below form and a VIP Host will contact you to set up the reservation.